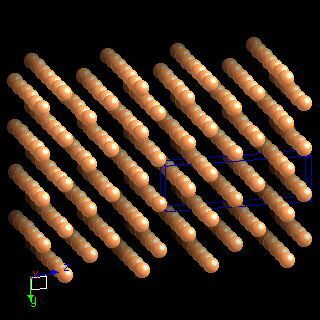 Antimony crystal structure image (ball and stick style). 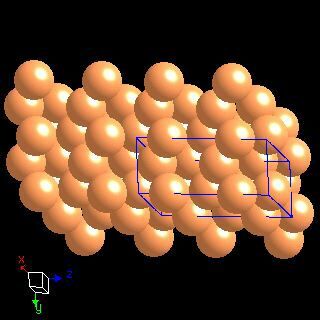 Antimony crystal structure image (space filling style). Schiferl D, Review of Scientific Instruments, 1977, 48, 24.